Death is an ominous shadow to cast over a company. All the more so when the death in question was not, as the case were, from natural causes. But in the wake of Uwe Gemballa's passing, the company that bears his name appears to be emerging from that shadow, creating the beast of a machine seen here. 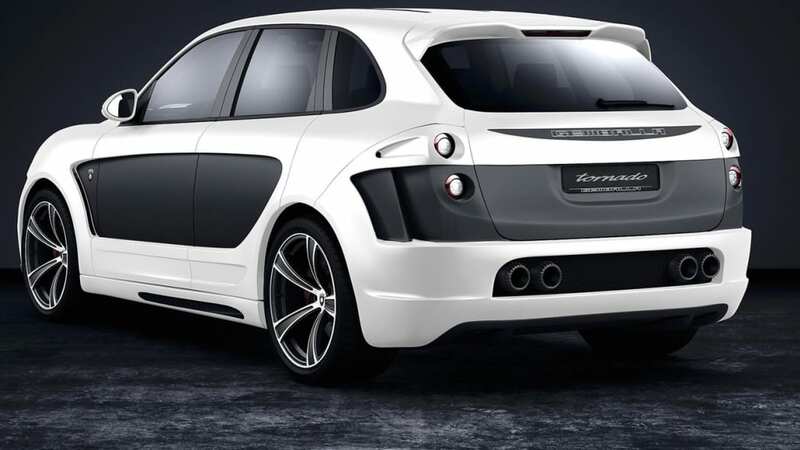 So far all that's been released about the new Gemballa Tornado are the images you see here and scarce few details. 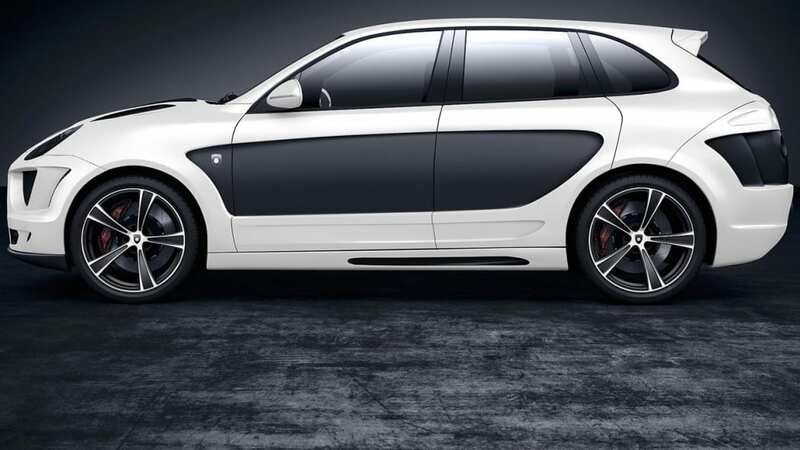 It's based on the 2011 Porsche Cayenne, and as you can tell, replaces many of the body panels with carbon fiber. 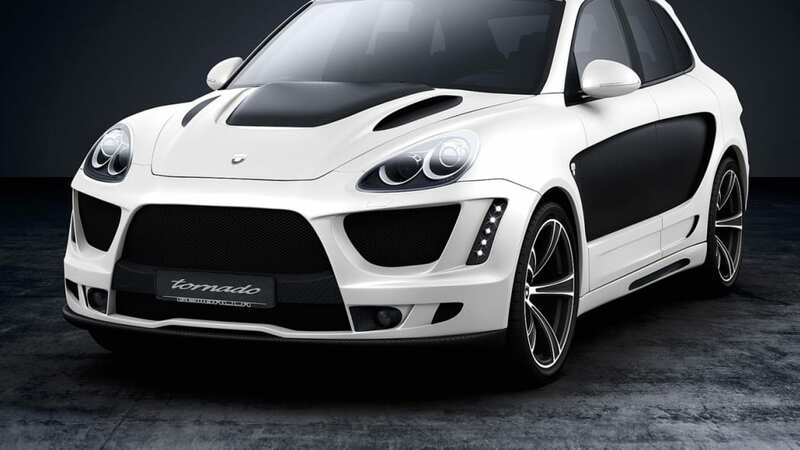 Uwe Gemballa's successor, Andreas Schwarz, points out that unlike other aftermarket body kits, the composite panels on the Tornado replace the steel ones on the stock Cayenne instead of simply applying them on top. And an aggressive-looking job they've done of it, integrating gigantic air ducts, LED running lights, a significantly wider track and restyled taillights, all in a high-contrast treatment while shaving a good 150 pounds off the big sport ute's curb weight. Further details on the interior still under development and the engine – tipped to produce some 700 horsepower with a Stage 2 turbo kit – are expected to follow. As will pricing, which promises to be just as astronomical as that horsepower figure, with only 30 examples slated for production.